The big story of the event is the competition debut of the new IAME SSE engine through Superkarts! USA in the Pro Shifter and Master Shifter divisions. The 175cc, six-speed engine has been in development for over two years as SKUSA looks to provide the shifterkart engine of the future. Teams and drivers have been grabbing up engines and testing aggressively since they hit the market in late 2018, all in preparation for this season. 2018 SKUSA Pro Tour champion AJ Myers begins the 2019 season carrying the prestigious #1 SKUSA plate aboard his Mad Old Nut / Mad Croc machine. Myers has the home track advantage and will be tough to beat. 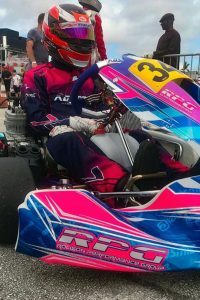 Top contenders include Florida driver Mathias Ramirez, who is making his return to PSL / Birel ART for 2019. \ 2018 SKUSA Winter Series S2 Semi-Pro Stock Honda champion Rory van der Steur (CPI / Tony Kart), SKUSA #2 plate holder Kyle Wick (CRG Nordam) and Texas ProKart Challenge champion Max Hewitt (CRG Nordam) are among the young guns taking part in the IAME SSE debut. 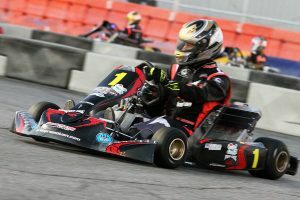 IndyCar and IMSA driver Sage Karam showed well in his return to karting at the SuperNationals last November, and he is back with iKart in his SKUSA Winter Series debut. While the Pro category has 12 drivers, Master Shifter will grid five entries for this opening weekend. Three-time SKUSA Pro Tour champion Jordon Musser (3G / Birel ART) is making his SKUSA Winter Series debut, having ran the IAME SSE engine in some Texas PKC regional action last year. Justin Peck (RPG / Kosmic), Dan Monteiro (RPG / Tony Kart), Brett Harrelson (Nash / CRG) and Luke Bhola (MRC / Aluminos) fill out the field in Florida. The news leading up to the weekend was the cap of the X30 Senior and X30 Junior categories, and then SKUSA opening up the grid to expand beyond the 44-driver mark in each division when the demand increased substantially. X30 Senior was at 53 drivers after pre-registration closed, with an entry list similar to that of the SuperNationals. Two SKUSA champions from the 2018 season are among those competing in the opening weekend. Three-time SKUSA Pro Tour champion Ryan Norberg is making his big stage debut with his new team Rolison Performance Group. Norberg drove to victory at the AMR Motorplex Karting Challenge event last weekend in his first run in an RPG Kosmic. The Florida driver is among a strong driver roster under the RPG tent, which includes Hannah Greenemeier, Jacob Gulick, SuperNationals 22 podium finisher Cedrik Lupien, and Patrick Woods-Toth. 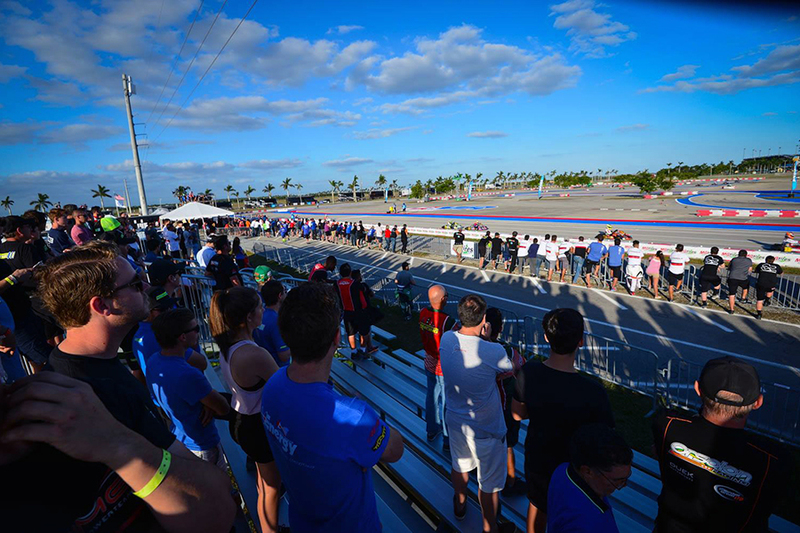 Inaugural SKUSA Winter Series champion Lorenzo Travisanutto is back to Florida in hopes of a repeat title. The 2018 World Karting Champion is returning to KartSport North America aboard the Kart Republic brand, competing alongside Barbados driver Zane Maloney and American powerhouse Brandon Jarsocrak. The latter two each took a win at the WKA Daytona KartWeek at the end of 2018. The X30 Senior field is deep with talent, including former SKUSA Pro Tour champion Jake Craig (RPM / Tony Kart), SKUSA Pro Tour race winner Christian Brooks (Nash / FA Kart), SKUSA #3 plate holder Dante Yu (CompKart) and SKUSA Pro Tour race winner Jesus Rios Jr. (SoloKart). Among those finding a new home for the 2019 season is Austin Garrison, as he makes his CRG Nordam debut. Brazilian and former SuperNationals winner Arthur Leist is joining PSL / Birel ART for the 2019 winter programs. Brandon Lemke is returning home to the Franklin Motorsports squad, jumping back aboard the Merlin brand. Nick Brueckner was scheduled to compete, however, his grandfather Tom Zulim recently passed away. Our thoughts remain with Nick and his entire family. Replacing him at Orsolon Racing is IndyCar’s Gabby Chaves, the 2012 SKUSA SuperNationals winner, aboard a Tony Kart. 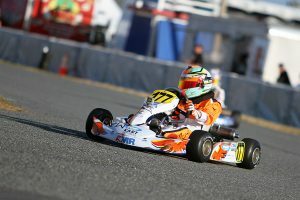 Chaves was shut out in the win column at the WKA Daytona KartWeek event, competing in the Margay Ignite class, which he won in 2017. The field is also full of Senior rookies making their SKUSA debut in the category. 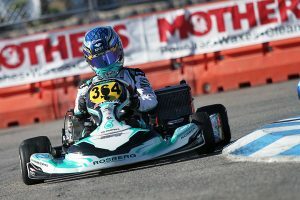 Josh Green (MDR / Kosmic) has the advantage, earning a podium finish at the WKA KartWeek race two weeks ago. SKUSA Pro Tour Junior champion Arias Deukmedjian (LEM / Praga) and SuperNationals winner Jeremy Fairbairn (ST / Tony Kart) are making the jump for 2019, along with SKUSA Winter Series Junior champion Sebastian Montoya (Tony Kart) and Canadian Thomas Nepveu (PSL / Birel ART), a former SuperNats winner. The X30 Junior division is even higher with 57 drivers set to compete at the AMR Motorplex facility. A number of top contenders from last year have graduated up to Senior, leaving room for different names and a handful of Junior rookies to stand out in the 2019 season. Connor Zilisch was among those racing Mini Swift last year in Florida, however, the North Carolina driver moved up to Junior mid-way through the season. Two podiums at SKUSA SuperNationals 22 were followed by three wins at the WKA Daytona KartWeek, and these successes have the Tony Kart driver among the top contenders heading into the weekend. Luca Mars (SCR / Tony Kart), USPKS champion Nicholas Terlecki (FMS / Merlin), Santiago Trisini (KSNA / Kart Repulic), Kyffin Simpson (SCR / Tony Kart) and Justin Arseneau (SCR / Tony Kart) join him in returning Junior contenders for 2019. 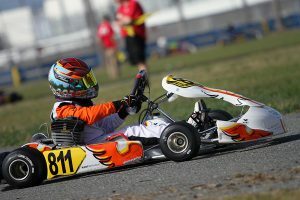 Rookies for the 2019 are plentiful, including two-time SKUSA Mini Swift champion Carson Morgan (Tony Kart). Last year’s Mini Swift vice-champion Jace Park (JRJK / Parolin) is also moving up along with two-time IAME International Final winner and SKUSA Winter Series champ Brent Crews (KSNA / Kart Republic). Throw in Jeremy Fletcher (Zanella / Tony Kart), Mateo Rubio-Luengo (Parolin), Annie Rhule (CM / Kart Republic) and Texas ProKart Challenge Mini champion Alex Stanfield (Tony Kart) to add to the depth of the Junior rookie roster. Polish driver Tymoteusz Kucharczyk (Parolin), who earned the fast time in qualifying at SuperNationals 22, is set for his SKUSA Winter Series debut. New for the SKUSA Winter Series is the addition of the KA100 engine platform. Senior and Junior classes are set for the two events, with the Junior field set with 18 drivers. Many drivers are doing double duty, including Zilisch, Simpson, Crews, Rhule, Rubio-Luengo, along with some standouts in the category including Donald Whorton II (Nitro Kart), Dylan Christie (MDR / Kosmic) and SuperNationals 22 podium finisher Bryson Morris (Comet / Kart Republic). Senior has just four drivers at the end of registration, featuring SuperNationals runner-up Colton Ramsey (Innovative / Exprit), WKA champion Blake Hunt (KSNA / Kart Republic), Pauly Massimino (KSNA / Kart Republic) and Brett Harrelson (Nash / FA Kart). The Briggs 206 divisions are back for the second season of the SKUSA Winter Series. A total of 14 make up the Senior/Master race group. Both defending champions Colin Warren (TS Racing / VLR) and Eli Yanko (VSR / TVR) are back to repeat. Warren went perfect in 2018, leading every on-track session towards the championship. The X30 Master class looks solid as well, heading into the weekend with 19 drivers hailing from six different countries. Scott Roberts (SCR / Tony Kart) looks to defend Florida, and he’s set to battle Texas ProKart Challenge champion Miguel Mier (Crosslink / Exprit), lightning quick Rodrigo Piquet (Kart Mini), John Robicheaux (RPG / Kosmic) and Adam Pettit (Solo Kart), who could all challenge for the podium positions. Momentum is on the side of Christian Miles, when looking at the Mini Swift field this weekend. Miles (KSNA / Kart Republic) – our December 2018 EKN Driver of the Month – swept the action at the WKA Daytona KartWeek event. All three Micro Swift SKUSA Pro Tour champions are competing this weekend in Mini. 2016 champ Kai Sorensen (ST / Tony Kart), 2017 title winner Elliot Cox (VemmeKart) and newly-crowned 2018 top dog Max Garcia (KSNA / Kart Republic) are all moving up for 2019. Also graduating with Garcia from Micro last year are Caleb Gafrarar (who moves over to PSL / Birel ART), Ethan Ayars (Kart Republic), and WKA winner Gavan Boschele (Nitro Kart). Alex Powell (SCR / Energy) and Nikita Johnson (AKT / Energy) are among the top returning contenders in the division, along with Texas ProKart Challenge standout Jack Jeffers (Orsolon / Benik), Noah Baker (SCR / Tony Kart) and Paul Bocuse (SCR / Energy). The Micro Swift division is full of new names that are looking to stand out during the first weekend of the 2019 season. Half the field is from Florida with the rest representing four states and three more countries, making it a very diverse driver roster. 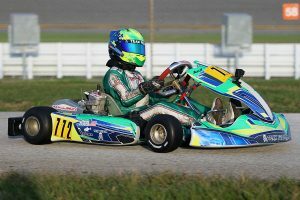 Matias Orjuela (Parolin) is among the more experienced, placing eighth in the SKUSA Winter Series standings last year, along with Christian Quijano (Parolin) and Texas ProKart Challenge champion Ethan Thomason (Parolin). EKN Editor-in-Chief Rob Howden – the voice of Superkarts! USA – will call the qualifying, prefinals and finals on both Saturday and Sunday. Our EKN Trackside Live Presented by Cooper Tires broadcast this weekend is being brought to your by Courtney Concepts, the Rolison Performance Group and the Alan Rudolph Racing Academy.